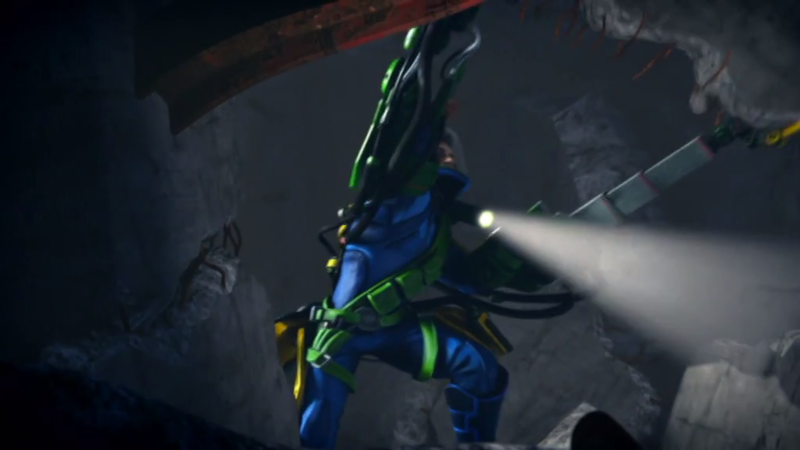 Thunderbirds Are Go returns to the Mechanic plot when he uses one of his terrifying machines in an attempt to free the Hood from prison. A lot about this episode feels like setup for the next part which is a bit of a shame since it’s unclear when the show is due to return. The fact that most of the time is setting up the next part of the story means that there’s very little payoff in this particular story. Not that the experience was a bad one. This actually had a lot going for it as an episode of Thunderbirds Are Go. For one thing the man in danger, Horse Williams (Omid Djalili) wasn’t the usual idiot in danger and seeing the Mechanic at work is always good value so there’s a lot to recommend. This is another episode that uses characters well. Gordon and Virgil are responsible for freeing Horse while Lady Penelope and Parker investigate the source of the destruction. This is exactly where the character should be and they are well used in those roles. I liked how the difference between Gordon and Virgil was addressed with Gordon being almost naively optimistic about the situation while Virgil never lost sight of the fact that a man’s life was at stake. It’s a subtle way of showing why Virgil has more seniority than Gordon but also doesn’t take away from Gordon’s contribution since he is never portrayed as incompetent. The rescue itself wasn’t all that interesting since it basically involved removing rubble until Horse was rescued. It wasn’t badly done but still wasn’t all that interesting to look at. Keeping the stakes of saving Horse’s life in the mind of the characters as well as the viewer was a nice touch as it added some urgency but it never felt like Horse was in any real danger. I found the Mechanic side of the plot to be far more interesting because an effective sense of dread was built up. It was revealed early on that he was tunnelling his way to free the Hood from prison so after that point it’s just a matter of time until he actually does it. It has been made clear in the past that the GDF aren’t equipped to deal with him so his success was never really in doubt. Considering how massive and formidable his machines are there isn’t really much that Lady Penelope and Parker can do in FAB1 either so the result is basically a foregone conclusion. That doesn’t make it uninteresting though, far from it. I really like seeing how competent the Mechanic is as a villain and how he doesn’t really make the kinds of mistakes that normally exist to give the heroes a way to win. He’s a character who has always thought of everything and it’s more concerning that this hasn’t been realised yet. It turns out that the Mechanic does have one major flaw in his unflinching loyalty to the Hood. Once he frees the Hood from prison it is almost immediately followed by betrayal which isn’t entirely unexpected but still good to see. 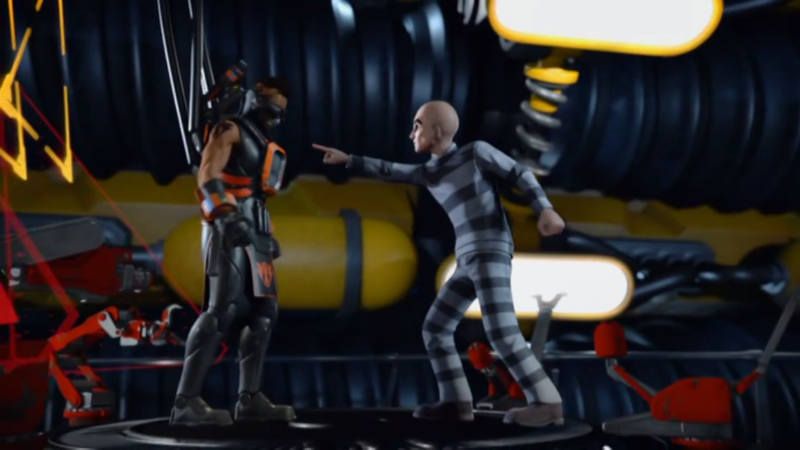 The Hood only sees his allies as a means to an end and the Mechanic is only useful in breaking him out of prison. His loyalty only extends to that and the Mechanic’s usefulness comes to an end once he gets his freedom. The Mechanic seems genuinely surprised at this which is both good and bad. I feel that he should have expected this and been prepared for it in some way but it also shows a blindspot that he has. Loyalty is a weakness and he’s punished for that. I wonder if he has a personal connection to the Hood that gives him that blindness. If so then that might be interesting to explore in the second half of the season. I also wonder if the Mechanic will end up working with International Rescue to bring down the Hood following his betrayal. Other than betraying the Mechanic, the Hood isn’t used extensively in this episode. It seems that his psychic abilities from the original Thunderbirds series are simulated through some kind of contact lens. It isn’t explicitly confirmed that this is what he does but the Mechanic does obey him unconditionally once he uses it after advising that his plan wasn’t a good idea so it looks like the contact lens does allow the Hood to exert some influence over others. If that’s the case then I’m not sure why he didn’t use it on prison guards but there’s time yet to explain that. There was nothing especially compelling about the set piece moments in this episode. Again, nothing was badly done but the chase sequence between the Mechanic’s drill machine and FAB1 wasn’t especially exciting. The lack of real danger was the problem and visually it was very repetitive as you would expect from a chase down a straight tunnel. For the midseason finale I think there could have been more memorable moments to build excitement for the return of the show after a break. A solid enough episode that doesn’t do anything bad but also fails to do anything especially memorable at the same time. The characters were deployed well enough and I liked seeing the contrast between Virgil’s serious attitude to the rescue and Gordon’s more naively optimistic attitude. Lady Penelope and Parker investigating the Mechanic was a more suitable role for them as well so the characters were allowed to play to their strengths in this episode. Horse was a far less annoying character to be rescued than we have seen recently as well so there was a lot to recommend. The problem was that the set piece moments weren’t all that interesting. Scott and Virgil spent most of their time clearing rubble which isn’t all that interesting to look at. 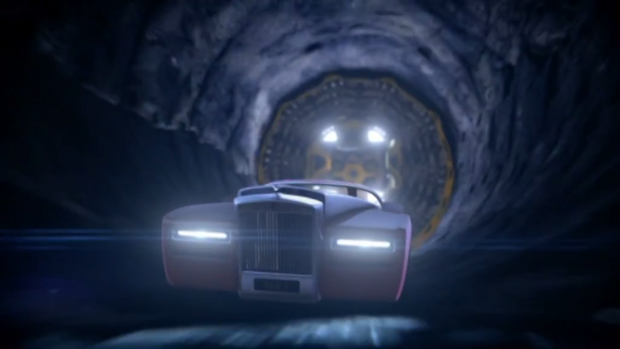 The same goes for FAB1 being chased down a straight tunnel. It was competently executed but somewhat dull which shouldn’t be the case for a midseason finale. I did like how the Mechanic was used and his betrayal by the Hood was well handled as it shows a notable blindspot that the mechanic has and leaves a question mark over how he will be used when the show returns.